Nursing is one of the most-respected careers that a man or woman can enter into. However, often people do not know exactly what a registered nurse (RN) does. Some think that a nurse just gives bed baths and changes linens. Some go to the opposite extreme and think that nurses sit at a nurse’s station for the whole shift, doing essentially nothing. While it is true that sometimes a nurse needs to bathe a patient and sometimes he or she must sit at the desk, the job of an RN is far more complex. Becoming a registered nurse requires earning, at a minimum, an associate’s degree in nursing and then passing the National Council Licensure Examination – Registered Nurse (NCLEX-RN). There are several different paths that an individual can pursue if he or she is interested in becoming an RN, but all will involve completing a formal training program that includes a mandated number of hours in both classroom and clinical study. A registered nurse is a liaison between doctor, patient, and family. Nurses have to be part scientist, part psychologist, and part detective. Of course, a caring, person-centered nurse is a better RN, but far more qualities are necessary to be successful in nursing. You have to have strong organizational skills, a tough stomach, bravery, and the ability to think on your feet. 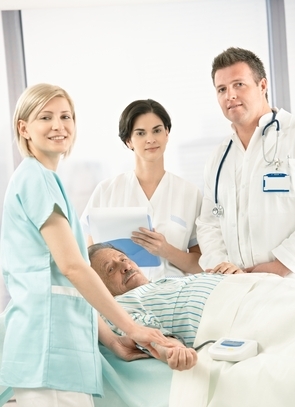 Registered nurses are the epitome of the multi-tasking medical professional. Some of what they do every day is seen by patients, but most of it goes unnoticed, except for a privileged few who know the hard work that goes into a nursing shift. Nurses perform many duties for patients as part of their job descriptions. As a registered nurse, you may be called on to administer medications, assess a patient for a change in condition, or educate the patient in the particulars of their disease. In fact, the best registered nurses are great teachers. They can take complex medical problems and boil them down for a common person to understand. Part of caring for patients also includes toileting, bathing, and dressing, but these skills are less important for a registered nurse. For the most part, these skills are completed by CNAs, but registered nurses are expected to do this type of work, as well. A registered nurse has to assess a patient for the signs of illness, implement a solution to the problem, and evaluate the patient after the implementation. Registered nurses are also responsible for interacting with other people and staff. Nurses often relate the doctor’s orders to the patient or family. One of their primary duties is to call a doctor with a patient’s change in condition, take down an order, implement the order, and evaluate for success. Nurses also interact with phlebotomists, physical therapists, and dietary workers on a daily basis. Communicating effectively with others is the most important skill a nurse can possess. It is what allows the nurse to effectively do his or her job. According to the Bureau of Labor and Statistics, registered nurses in 2010 made an average salary of $64,690 per year, which works out to $31.10 per hour. Of course, not all registered nurses made this salary, but the majority of nurses made approximately this much money, depending on region of the country, experience level, and educational background. Most entry level nurses can expect a lower salary per year. For instance, the lowest 10 percent of registered nurses earned less than $44,190 per year. More experienced nurses can expect wages higher than the average. The top 10 percent of nurses earned more than $95,130 per year. Not only does experience factor into this wage, but your level of college education can often make all the difference. A bachelor’s degree will earn more than an associate’s degree, and a master’s prepared RN will certainly make more than either of them. 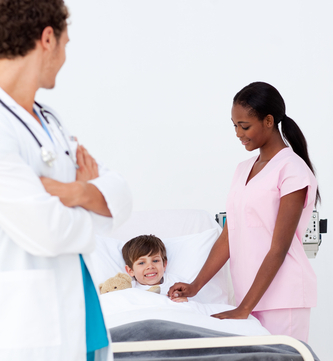 Registered nurses can find jobs in a wide variety of places. The most obvious place for employment is working in an acute care hospital. Even in this one facility, you can find a great deal of specialization from medical-surgical to intensive care, from orthopedics to cardiology. The next arena for employment is rehabilitation hospitals and nursing homes. In these facilities, registered nurses usually take a more supervisory role, but they may still work administering medications and helping with activities of daily living. Nurses can also work in doctor’s offices, but the pay for this venue is often less and the jobs difficult to find. Finally, registered nurses can work for insurance companies and medical malpractice lawyers to handle insurance and lawsuit responsibilities respectively. You can advance your career quite easily as a registered nurse. When working in a facility, it is usually only a few years before you are promoted to a charge nurse or supervisor position. Nurses can also become managers of their unit or a director of nursing in charge of an entire facility. The best way to advance your career is through experience and education. The more education you have in the nursing profession, the more RN jobs that will be open to you. The entry-level RN program is called the associates of science in nursing degree (ASN). Typically, this program takes about two years full-time, although it can certainly take more if you decide to take the classes part time. You will be exposed to the basics of nursing care and theory, and you will have some background in basic college courses. The advantage to this program is that you can sit for boards with only two years education, and then you are eligible to pursue further learning as your time permits. The bachelors of science in nursing degree (BSN) takes four years to complete, and this is the flagship degree in the nursing profession. Often, you will need to have at least a BSN to be promoted to supervisor or manager positions in facilities. In addition to learning about nursing, you are exposed to a wide variety of college classes, from art to science. You will also learn nursing leadership, advancements in nursing practice, and more advanced materials that are not included in the ADN program. Finally, the masters of science in nursing degree (MSN) is the most advanced level of education you can pursue – outside of a doctorate degree. However, doctorates are rare, and most advanced practice nurses stop at the masters level. You can choose two tracks at this level of education. You can choose to become a certified registered nurse practitioner, and this will allow you to diagnose and treat patients under a doctor’s supervision. You can also choose to become a clinical nurse specialist, and this will allow you to pursue research and education in the nursing field.